From time to time companies bundle the latest games with their hardware in a bid to attract attention of gamers and to make their products more competitive. Such promotions are mutually beneficial: for gamers, it is a good way to upgrade and save some money on titles, while for companies it is an efficient way to increase sales. 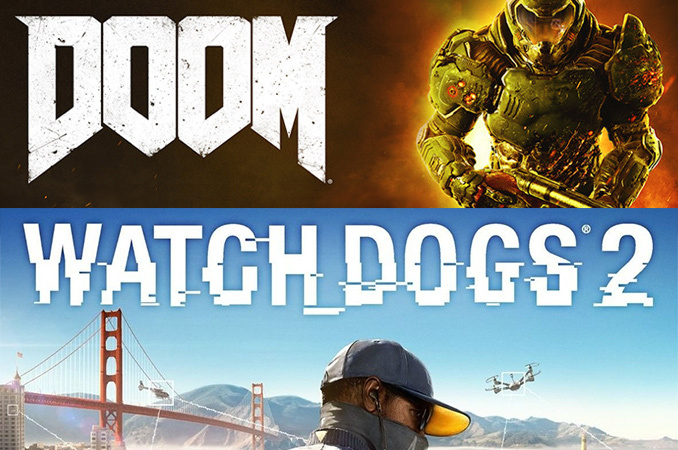 Recently AMD and Samsung have launched campaigns that add a free digital copy of various digital games with their products, including Civilization VI, Doom and Watch_Dogs 2. Running from October 27 to January 27 (or when AMD runs out of Doom codes), the chipmaker working with the usual etailers (Amazon, Newegg, etc) to include a voucher for Doom as a motherboard bundle. This bundle covers most AM3+ motherboards, but it also covers top-to-bottom AMD systems that use an AM3+ motherboard, AMD FX CPU, and an AMD Radeon graphics card. AMD has not published the exact list of AM3+ motherboards that come with a free digital copy of Doom, but more information can be obtained from AMD’s Rewards web-site. 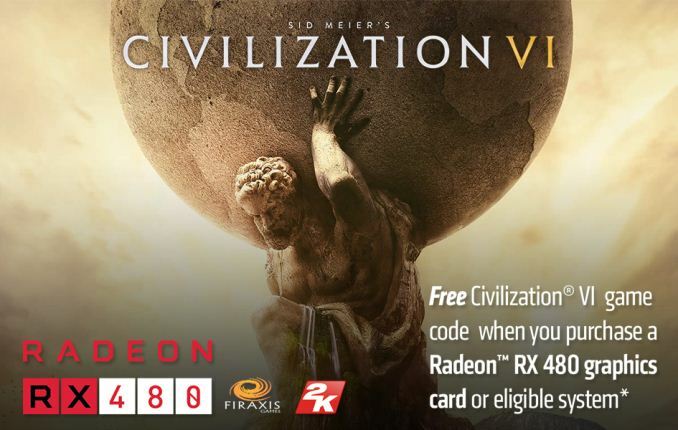 Meanwhile it is noteworthy that this week AMD also initiated its new Civilization VI promotion for Radeon graphics cards. To get a free copy of the latest in the just-one-more-turn-before-bed gaming series, you will need to buy an AMD Radeon RX 480 (or a PC with such a board inside) from an eligible retailer. Right now, the campaign is already live in some countries, and will eventually spread to other regions as well. In the recent years Samsung has made inroads into gaming PCs with its high-performance SSDs based on its 3D V-NAND memory. At times, Samsung bundled popular titles with its drives, and its new Watch_Dogs 2 campaign expands to curved displays as well. On the SSD side of matters, Samsung latest bundle covers most of their V-NAND SSDs, including the recently launched 960 PRO & EVO, and their 850 SATA counterparts. Also covered in this bundle is the company’s Portable SSD, the T3. Meanwhile on the monitor side of matters, the bundle covers Samsung’s CFG70 or CF791 curved monitors. The bundle will be available in North America at select retailers only until December 31, 2016, or while coupons last. It is noteworthy that Samsung is promoting its curved displays with and without quantum dot technology among gamers using a free game bundle campaign. While curved monitors are available from all major display suppliers, they are not very popular. 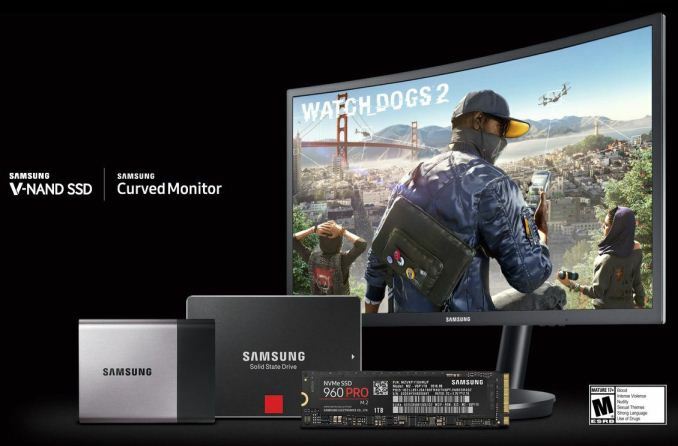 Meanwhile, Samsung seems to see potential of such monitors for this market segment, which is why it will add a free copy of Watch_Dogs 2 to its CFG70 and CF791 displays until the end of this year.